Samsung unveiled four new tablets in CES 2014 from two new lines, the Pro versions of the Galaxy Note and Galaxy Tab tablets. Their sizes range from 8.4" to 12.2", breaking past the current barrier of 10.1" tablets. What is interesting here all four tablets feature flagship specs that are very similar between themselves. All of them have Wi-Fi only versions along with a 3G/4G version and new faux leather back like Samsung Galaxy Note 3. 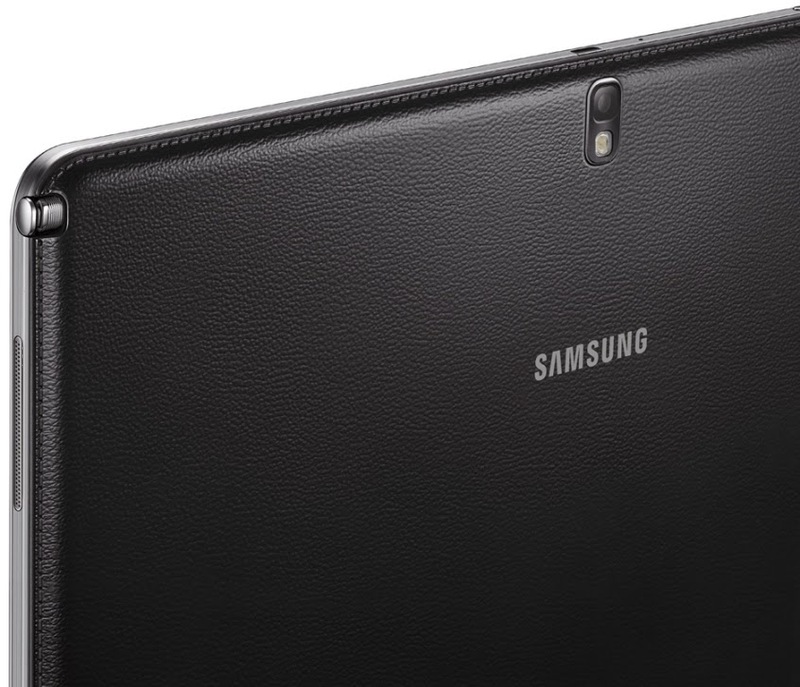 The Samsung Galaxy NotePRO is a 12.2-inch tablet targeting more business-minded users. As well as playing host to the company’s now familiar S-Pen stylus, the high-end device packs in a raft of productivity features around a premium array of components and an all new Widget based user interface. We can say that Galaxy NotePRO 12.2 is the Samsung’s answer to Microsoft’s business-oriented Surface Pro tablet. The Samsung Galaxy Note Pro 12.2 is an upsized Note 10.1. It features a 12.2" Super Clear LCD (Sorry mate, its not AMOLED) of WQXGA resolution (2,560 x 1,600 pixels) with support for finger touch and the S Pen stylus. The tablet features the characteristic S Pen features, including the Pen Window multitasking option. A new Multi Window split-screen option is available allowing you to work with up to four apps simultaneously. The multitasking is powered by either a Snapdragon 800 chipset or an Exynos 5 Octa. The tablet runs Android 4.4 KitKat and has 3GB RAM. 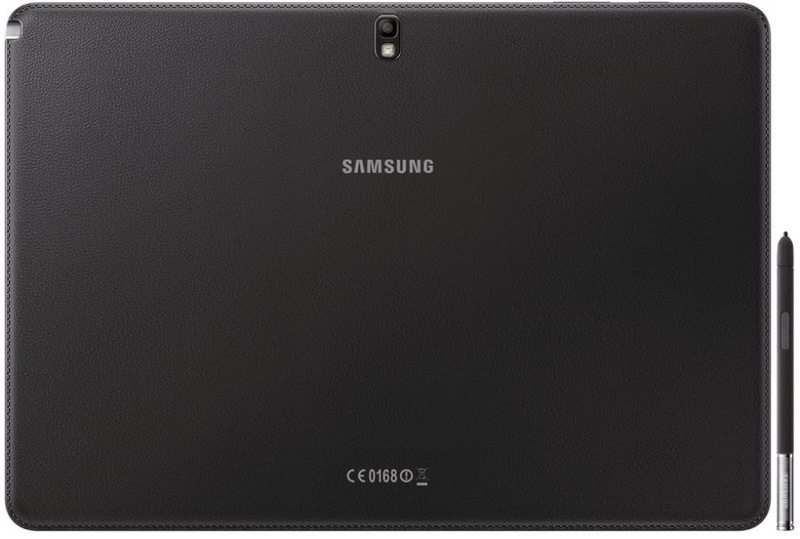 The Samsung Galaxy Note Pro 12.2 hardware is as expected – 3G for the Exynos model, Cat. 4 LTE for the Snapdragon model, 8MP camera with 1080p @ 60fps video capture (30fps for Exynos) and a bigger 9,500mAh battery. Storage is either 32GB or 64GB, but you get a microSD card slot too. it also has microUSB 3.0 port just like Samsung Galaxy Note 3. Samsung went further and enabled interconnectivity with your PC too – with RemotePC you can control your computer from the Note Pro 12.2 or control the tablet through the computer. If you use the tablet, the Universal BT Keyboard and the S Action Mouse will come in handy. Other accessories include the USB LAN hub and the Book Covers. Samsung Galaxy NotePRO feature list is not just ends here. You get Cisco WebEx Meetings for conferencing and Samsung e-Meetings for collaboration. The Ultimate User Content Gift Package, which Samsung values at $700, features pre-paid subscriptions for services and apps, including the Sketchbook Pro app, Dropbox and Bitcasa, Hancom Office, Evernote, other apps and a subscription for a number of news sites. Though the device is big but it feels surprisingly light and balanced in your hands – even it weighs 750g. It can be held with one hand for a reasonable amount on time before it starts to ache. The leather rear finish offers good grip while managing to feel solid and well built at the same time. Samsung's new NotePro makes a significant step toward the company leaving behind the traditional Android interface in favor of something more graphical and immediate. Although pricing has yet to be announced, Samsung has confirmed that the NotePRO will start a global rollout this March in white and black versions.